Inquest jurors concluded there were no errors in the way police responded to the warning call and their actions did not contribute to the loss of life. Victims' families have called on police to bring the killers "to justice". 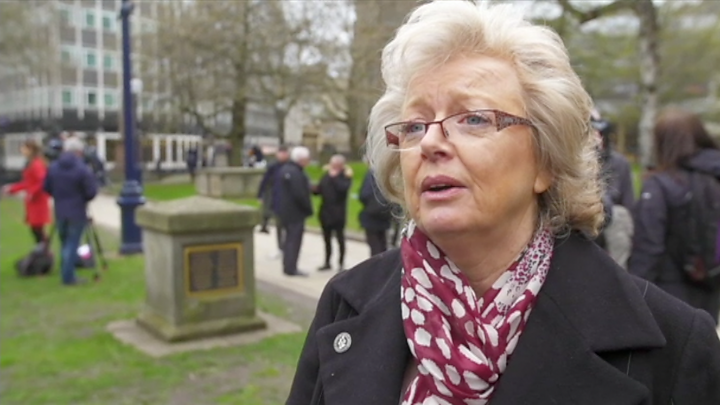 Julie Hambleton, whose sister Maxine died in the bombings, said: "West Midlands Police have always told us when they get new evidence they will act on it, well here you go, you have the new evidence and I'm sure there is more to be had and more to be found." She did not describe the inquests' conclusion of unlawful killing as "vindication", but said it "gives us hope to move forward to get those who are still alive caught and for justice to be had". West Midlands Police (WMP) said there continued to be an active criminal investigation. The call, made to the Birmingham Post and Mail at 20:11, gave the bomb locations as the Rotunda building and the nearby Tax Office in New Street but made no mention of pubs, costing the police vital minutes. The first bomb, weighing between 25lb-30lb (11kg-14kg), detonated in the Mulberry Bush seven minutes later. The second bomb, weighing 30lb (14kg), exploded in the nearby Tavern in the Town two minutes later. 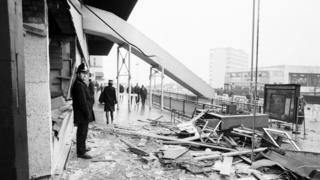 Both pubs, popular with young people, were busy on the night of the bombings. It was a Thursday, which was payday for many, and also the day for late-night shopping. A third bomb was planted near the Barclays Bank on Hagley Road but failed to properly detonate that night. "We always expect our emergency services, particularly the police and firefighters to be there for us at the time of disaster and they were." "We just hope, in light of the jury's unequivocal finding that the IRA murdered 21 innocent people, that West Midlands Police will now redouble their efforts in terms of those bombers who may still be alive to bring them to justice," he said. Who were the pub bombings victims? 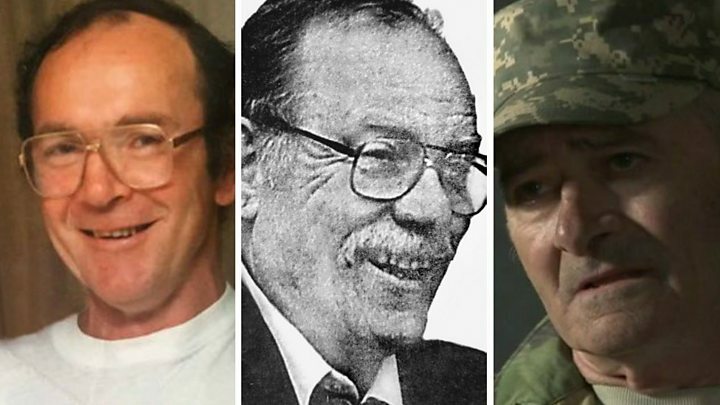 There was a dramatic twist towards the end of evidence at the inquests, when a former IRA member named the four the men he claimed were involved in the bombings as Seamus McLoughlin, Mick Murray, Michael Hayes and James Francis Gavin. During the hearing Mr Thomas QC asked Witness O whether a previously named suspect, Michael Patrick Reilly, had been involved. After the inquests, WMP Chief Constable Dave Thompson said the force was "We are carrying out a number of active lines of inquiry". "Though my absolute statement is, if we could bring people to justice we would do and at the moment we have an active criminal investigation."